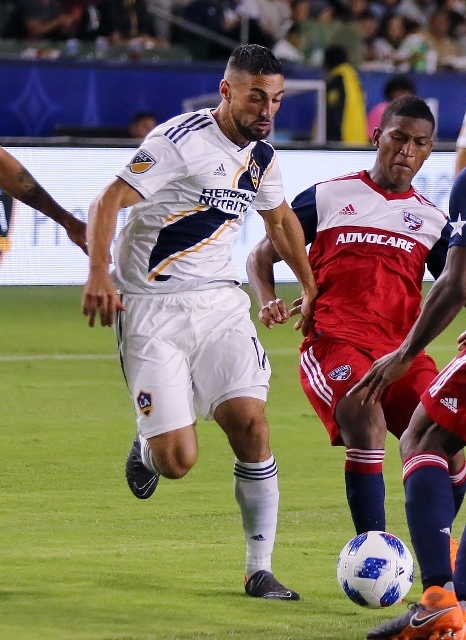 (Carson) – FC Dallas jumped out to a 3-0 lead and then had to hold on to beat the Galaxy 3-2 Wednesday night before 18, 003 at StubHub Center. Zlatan Ibrahimovic scored twice for the Galaxy and had another one disallowed when it was ruled he was offside. FC Dallas was on the attack early. In the fifth minute Kellyn Acosta got loose in front of the Galaxy net but his shot scooted though the box and out of bounds. In the 13th minute the Galaxy’s Romain Alessandrini made a nice move off a throw in but his chip at the net went wide left. Ibahimovic, who was returning from a one-game suspension for a red card, fired one high over the net from distance and later in the 25th minute he made a nice dish to Alessandrini but his boot was wide left. FC Dallas broke though in the 33rd minute when Ryan Hollingshead converted after a couple of nifty passes as he kicked one by David Bingham for a 1-0 lead. Three minutes later Alessandrini was thwarted on a rush to the net. The FC Dallas defender harassed him and forced his kick to the left of the net and out of bounds. FC Dallas made it 2-0 in the 4oth minute on header by Christian Colman that bounced over the head of Bingham. Ibrahimovic pushed a shot high in the 43rd minute and FC Dallas took a 2-0 lead into the halftime break. In the second half LA looked to get on the board in the 54th minute. Ibrahimovic had an opportunity in front but his header was saved by FC Dallas keeper Jesse Gonzalez. The Galaxy continued to press. In the 61st minute Ibrahimovic’s goal is disallowed when he was ruled offside. Replays seemed to indicate that it was the right call. Later the Galaxy came close again when the ball was cleared of the line. In the 64th minute Ibahimovic’s blast was saved by Gonzalez. FC Dallas made it 3-0 in the 66th minute when Carlos Gruezo received a perfect dish and knocked it by Bingham. 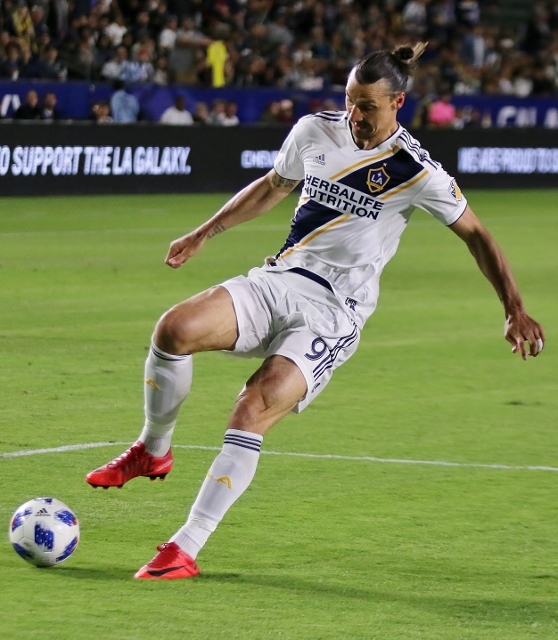 Ibrahimovic, not to be denied finally got one home as he scored from the right side off of an assist by Sebastian Lletget to get LA in the scoring column. Alessandrini had a shot that hit the top of the crossbar and bounced away. FC Dallas wasted a lot of time late in the contest. Colman was hit with a red card in the 80th minute giving LA a man advantage. With all of the Dallas delays, eight minutes of additional time were added. Alessandrini got off a blast in stoppage time but Gonzalez made the save. One minute later Ibrahimovic scored his second of the night as he banged one into the back of the net but time ran out on the Galaxy and Dallas FC held on in the last minute to win 3-2. The Galaxy fell to 5-7-1 on the year with the loss while FC Dallas improved to 6-1-5.